Once you have a better understanding of VoIP numbers, you’ll be ready to get started with VoIP phone service. We explore the basics of what VoIP phones are and then describe the step-by-step process of how you can begin using a VoIP phone service. A VoIP number looks and functions exactly like a normal phone number but identifies a user on the IP network, rather than the PSTN. Users can just dial the number as they normally would. 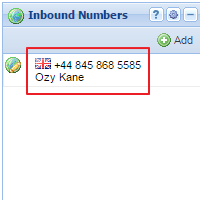 VoIP numbers are not tied to a specific device, rather they are associated with the user. This means the number can be used to make or receive calls on multiple devices such as soft phones, PCs, phones, tablets and even regular analog landlines (with an adapter). 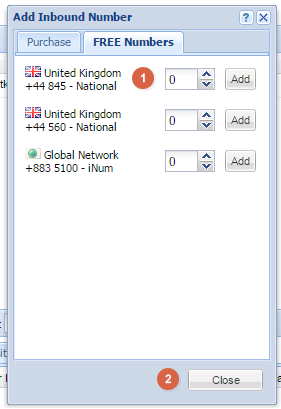 VoIP numbers are not restricted to a certain geographical location. This means area codes are often meaningless. Businesses generally use this capability to have a local number in certain markets, so that customers do not have to pay long-distance charges. VoIP numbers are mobile by nature. A user can make a call even if they are traveling internationally or do not have access to their regular phone. It works for receiving calls as well, so that a user can be reached by callers on any device that is using the same VoIP number. that offers numbers in over 4000 cities worldwide and is a great option to showcase the process of obtaining and setting up a VoIP number. 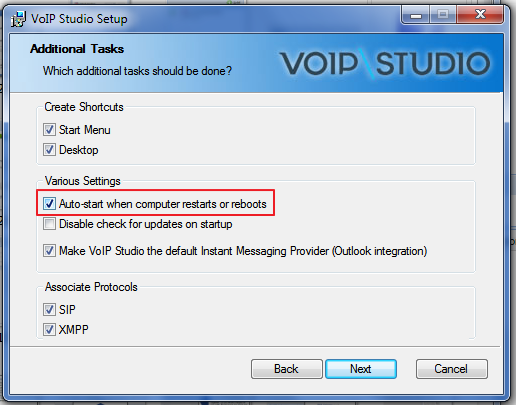 Before you can get a VoIP number and start making calls, you need to create an account at VoIPstudio. Our VoIP phone service offers a free 30-day trial so that you or your business can test it out before making any purchase. Signing up for an account requires nothing more than your first and last name, a unique password and your email address. The free trial comes with all the features that are included in the paid version, it is not a restricted plan. This allows prospective users to try out all the features before coming to a decision. The best part is that users do not need to provide a credit card, so there is no danger of accidentally (or deliberately by some fraudulent vendors) being charged when the VoIP phone service free trial ends. Important information that you will need later include the email address you registered with as well as the password. You can choose any price plan at step 3, since the first 30 days are free and you will not actually be paying for anything. 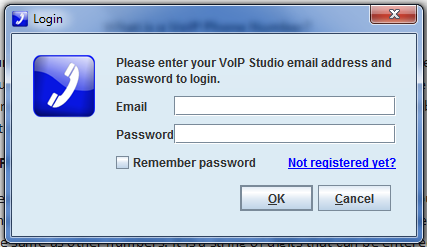 An email will be sent to your account for confirmation, after which you can login at VoIPstudio’s website. 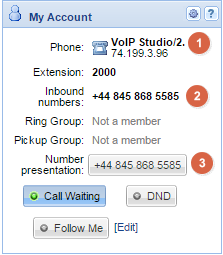 Once you get your first VoIP number, it will show up under Inbound Numbers (label 2). 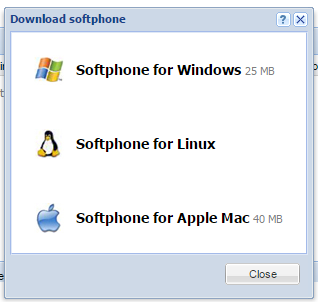 After you have installed the softphone application, it will show up under phone (label 1). 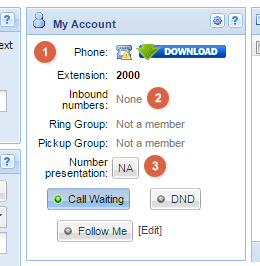 Number presentation (label 3) shows how caller ID will display your number to the other party when making a call. 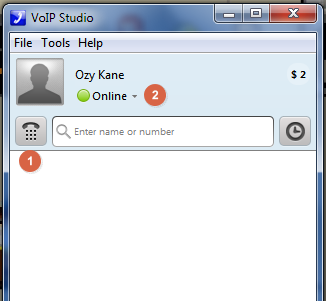 To get your VoIP number, click the Administration button at the top right corner. 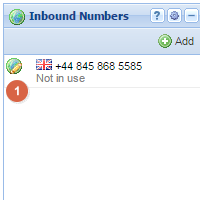 When the administration panel opens, click the Inbound Numbers panel at the extreme right. After it expands, you can click the add button which opens a pop-up window where you can get a free UK number to get started. At this point, you can also purchase a number from over 4000 cities across the world offered by VoIPstudio by clicking on the Purchase tab. Your VoIP number will be assigned immediately. 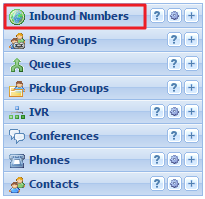 Your number will show up in the Inbound Numbers column. Click on the globe icon on the left to set the target as your username. 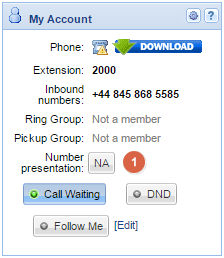 Click on the Number presentation button (label 1) and select your number to show as the caller ID when making calls with VoIP phone service. If you select none, your number will be hidden and show up as an anonymous call to others. The final step is to install the softphone application in order to be able to make and receive calls. In the same My account panel, click the download button and select your operating system from the pop-up. During installation, you should select the auto-start option so that the application will be running at all times. Naturally, you will not be able to make or receive calls on the computer if the application is not open. When the application runs for the first time, it will ask for your username and password. You will be able to make calls after you have given your credentials. Within the application, you can use the numpad to dial numbers directly (label 1) or add your contacts. 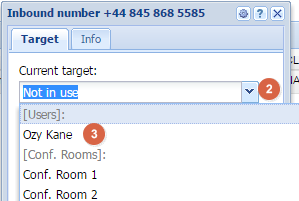 You can also set your presence information (label 2), so that callers will know if you are busy or available. Under Phone (label 1), you will see that your softphone is now registered to make calls. 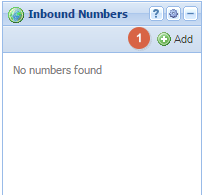 Under Inbound numbers (label 2), your new VoIP number is displayed. And, finally, Number presentation (label 3) displays how your number shows up on the other party’s device as caller ID. As you can see, getting a VoIP number and making calls is a very quick process and takes no more than 3 steps. Get started with our VoIP phone service today!